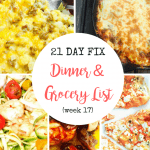 Hey there…I got another weekly 21 Day Fix Dinner & Grocery List for you with some of our favorites…like that Cauliflower Cheeseburger Mac. Omg – have you made it yet? It’s seriously to die for. Do yourself a favor and get to it this week. Anyway, I also have a question for you regarding lunch. What do you all make for lunch? Do you prep it ahead? Do you struggle with what to pack? I’m thinking of doing a series of lunch posts, but wanted to get some feedback from you all, first. So if you can comment below with your thoughts, I’d love you even more! Thanks and have an awesome week! It would be great if you did a lunch series. I like to plan and prep lunch and dinner for the week on Sundays. I usually tend to prep salads for lunches but those can get boring after awhile. 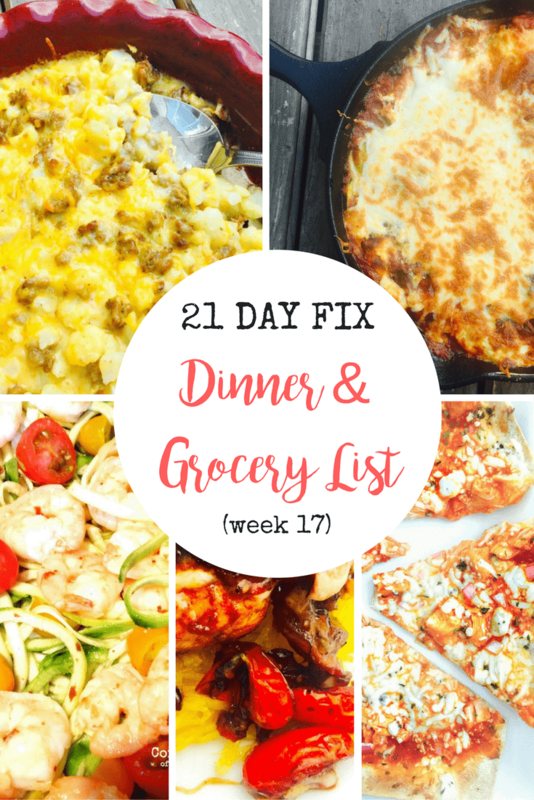 It would be great if both dinner and lunch could work together for the 21 day fix containers/calorie brackets. Ok! I am going to get working on this for future weeks! In addition to lunch prep, I love the idea of using leftovers for lunches! Food waste has been a huge problem for my boyfriend and I lately, and we are starting to compose, as well as cut and consolidate food waste! Just recently discovered your blog, and I love it. 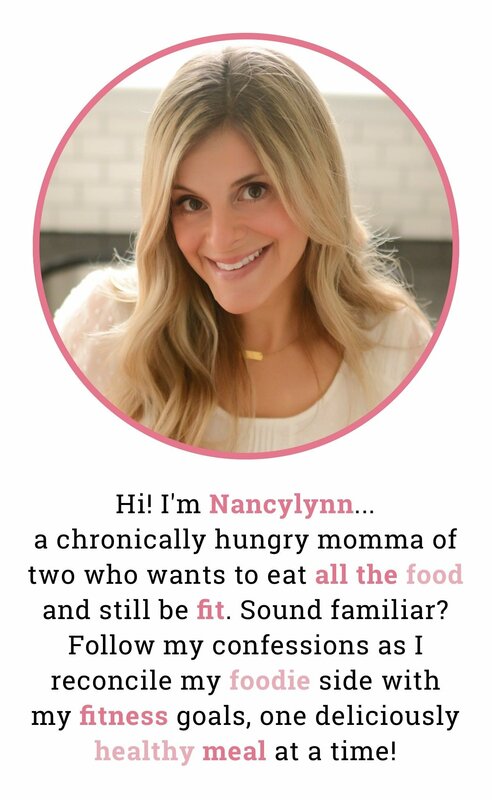 Thank you for taking the time to put honest and delicious meals; I have a weakness and love for food that has been fun to tweak in my new routine of 21 fix! I’m learning, but you’re helping more than you could know! Again, thank you! I’m SO happy to hear it!! Sounds like we have a lot in common :). Dinner for the last two weeks have been your recipes. 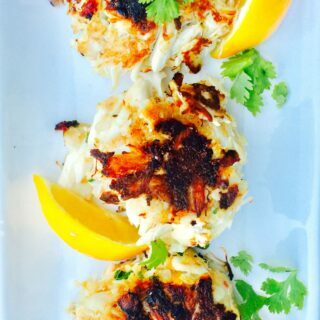 I just wanted to start off by saying THANK YOU for these amazing recipes. Not one has been a bust so far. Im new to beachbody so I am still learning the meaning to clean eating. Hey, I’d love inspiration for lunch. I send our leftover dinners with my husband, but find myself struggling trying to find something fix approved. Since I have 3 kids, I would need something quick, or something that can be eaten picnic style since we try to be outdoors as much as possible in the summer. Thank you so much for working on a lunch post!!! I’m new to your site and I LOVE it! I would love to see a lunch prep/plan. 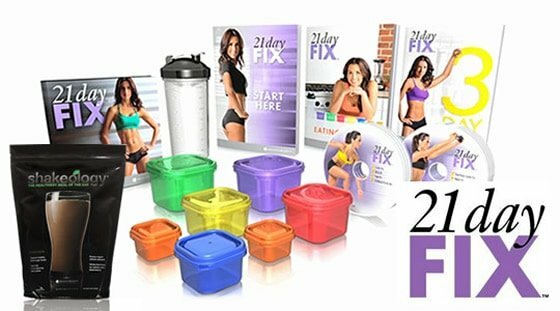 I’m new to 21 Day Fix as well and currently I’ll make a big batch of something on Sunday and eat it 5 days in a row for lunch:( Thank you! I recently found your site and made the Lazy Zuchini Lasagna last night…. let me just say Oh Wow!! It was so good! I am eating leftovers for lunch today. Looking forward to trying some of your other recipes!! Thanks! YAY!! That is one of my husband’s favorites, too!! So glad you found me :). I have been making your recipes for a couple months. They are fabulous. I couldn’t have stayed on the fix for this long if it weren’t for you and this blog. 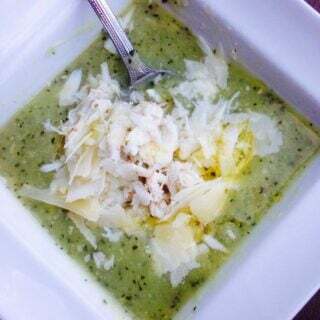 Lunches – I use some of your dinner recipes like the cheeseburger mac or the chicken caprese salad (my favorite). I will also do regular salads or left overs from one of the dinners. I would love to see a lunch series. Keep up the great work. 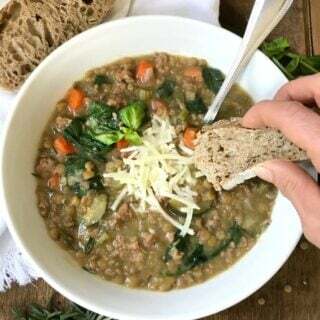 Your recipes are the best on the web (and I have tried allot of the others). Thank you so much for all of your work. Where is the link to the buffalo chicken pizza? 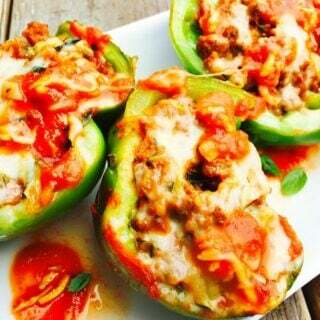 I am loving your site, thank you for making healthy cooking easier!!!! I either eat leftovers from the night before mostly due to lack of fridge space (we have a small fridge by US standards-normal for European standards-there’s a reason I go to the grocery store 3 times each week) OR I have my Shakeology for lunch with an apple. If I have my Shakeology for lunch then I usually have plain Greek yogurt with one fruit (apple, apricot, strawberries, plums, etc) for breakfast. I’ve been having Shakeo for lunch lately, too!